President Barack Obama created DACA amnesty in 2012, then later expanded it into Deferred Action for the Parents of Americans (DAPA) in 2015. A federal appeals court struck down DAPA as illegal in 2015, and the Supreme Court deadlocked 4-4 on the issue when Justice Antonin Scalia died unexpectedly in 2016. Attorney General Jeff Sessions’ made the legal judgment that the Fifth Circuit federal appeals court’s decision striking down DAPA also made DACA illegal. Once President Trump took office, his U.S. Department of Homeland Security (DHS) followed Sessions’ advice, and ended DACA. DHS Secretary Kirstjen Nielsen declared that her department did so because DACA is unconstitutional. Liberal and Democratic organizations sued DHS’s decision as illegal. Several of these cases went to Democrat-appointed leftwing judges, who held that the Trump administration’s decision is illegal under the Adminstrative Procedure Act (APA). DOJ appealed the lead case raising these challenges to the U.S. Court of Appeals for the Ninth Circuit, one of the most liberal federal appeals courts. Facing a very likely loss there, Solicitor General Noel Francisco took the extremely unusual step of asking the Supreme Court to take the case immediately, instead of waiting for the Ninth Circuit to hear the case. Francisco’s action is seen as clear evidence of Sessions’ promise to aggressively uphold the rule of law on immigration, which is an issue of paramount importance to President Trump’s base. On Monday, the Supreme Court denied DOJ’s petition to grant review before the Ninth Circuit could issue a judgment in the case. Republicans should not be dismayed. Such petitions—called a petition for certiorari before judgment, authorized by Supreme Court Rule 11—are almost never granted. Initial research suggests the last time the justices did so is 2003—15 years ago. In other words, the justices will adhere to the standard practice of waiting for a full-length written opinion from the Ninth Circuit and using it as part of the foundation of the High Court’s analysis. However, the justices are also telling the Ninth Circuit that this is an urgent and time-sensitive matter, instructing them to decide the case quickly, so that the justices can then review it. 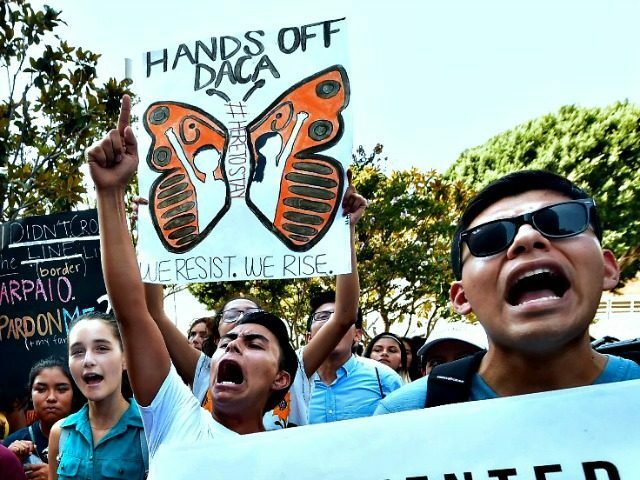 This delay likely means that the legality of DACA will not be decided until late this year, or possibly early 2019. The case is U.S. Department of Homeland Security v. Regents of University of California, No. 17-1003 at the U.S. Supreme Court. While we were hopeful for a different outcome, the Supreme Court very rarely grants certiorari before judgment, though in our view it was warranted for the extraordinary injunction requiring the Department of Homeland Security to maintain DACA. We will continue to defend DHS’ lawful authority to wind down DACA in an orderly manner.